It doesn’t matter whether you have a tiny kitchen in a studio apartment, or a gourmet kitchen in an expansive home – there’s never enough space on the counter for all of your appliances. Can openers and Cuisinarts jockey for space with waffle irons and rice cookers, toaster ovens push pasta makers and espresso machines into drawers or pantries. The only place any of them can realistically be placed is on the kitchen counter. The one must-have appliance which gives you some flexibility is the microwave oven. It may be a pain and somewhat expensive to install your microwave over the range, but that simple kitchen redesign can free up tons of space that you can use for an ice cream maker, spice rack – or even for food preparation. 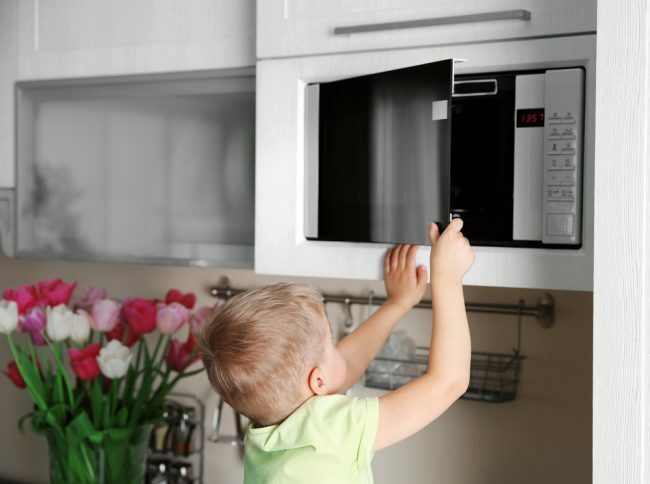 Many countertop microwaves come complete with kits which let you move them to a spot above the stove; others are designed solely for permanent installation. Both provide the same ability to cook, reheat, defrost, melt and pop, some add baking and roasting to the list, but over-the-range ones have the added benefit of a vent hood for the stove. 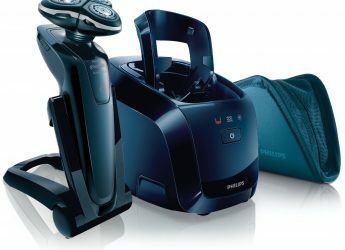 The price you’ll pay for one of the latter units can be a bargain or bust a budget, depending on the features you want. 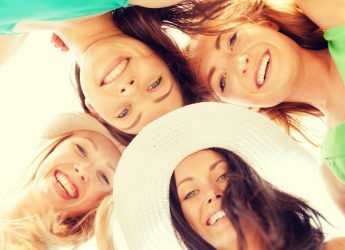 Almost all will cost at least a couple of hundred dollars, while some can approach or even exceed the thousand dollar level. But they’ll be a permanent part of your kitchen and will almost always cost a lot less than the other fixtures of a kitchen like refrigerators, ovens, and stoves. While evaluating these microwaves, the Groom+Style review team have taken into consideration their overall functionality, size, ease of installation and performance. 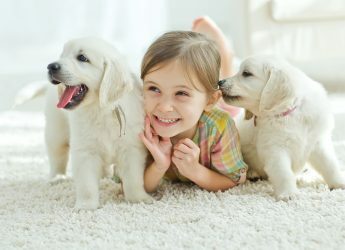 We’ve also looked at whether their appearance will let them blend in with most existing kitchen decors – and naturally we evaluate their performance both as microwave ovens (number of presets, ease of programming and sensor cooking are all factors in addition to food quality) and range hoods (air flow and fan speed come into play here). Combination microwave/convection models will naturally cost more, but provide a functionality which will be welcomed by cooks who use their oven for more than reheating pizza or making Hot Pockets. The ultimate convenience in a modern kitchen comes from built-in appliances, and you are likely to find that the best over the range microwave takes the pleasure of cooking in a well-appointed kitchen to an entirely new level. GE JVM3160DFCC Over-The-Range Microwave Oven. Click on the photo to see the Price on Amazon. In almost all cases, you know what you’re getting when you buy a GE kitchen appliance: a well-designed, well-built machine that will perform well and last for years. It may not be the absolute top-of-the-line, but it will come close for most home cooks. The company’s Monogram line is greatly respected, with price tags to match. But GE manufactures other product lines as well, which are well worth their more reasonable prices. The JVM3160DFCC microwave oven is a great example. This oven isn’t enormous, but most over-the-range models aren’t since they’re built to fit into the standard space over a 30-inch stove. The Profile’s 1.6 cubic foot interior fits most large dishes or casseroles and the 13.5 inch turntable can be shut off so very large dishes won’t keep smacking into the sides of the oven. The 1000 watt high power setting is what you would expect from a quality microwave. 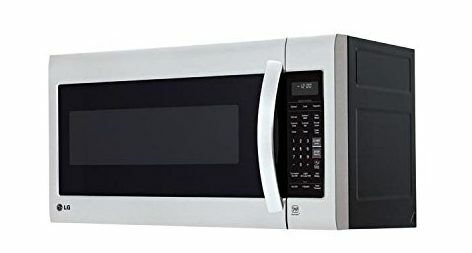 The microwave has ten selectable power levels and performs just about as well as any countertop model G+S has reviewed. There isn’t a convection function or the huge selection of presets you may be used to (there are a few for popcorn, beverage, defrost and reheat). But let’s be honest, that’s all that most people use, anyway; the majority of people just put something in the oven and select a cooking time, and the JVM3160DFCC cooks or reheats food very well. There is an Express Cook function,a two-speed vent fan (which vents to the top of the unit by default, but can be converted to vent outdoors or operate without venting), and bright/night/off settings for the inside light. Installation isn’t difficult if you have someone to provide a second set of hands, but this model doesn’t necessarily fit older GE trim kits so you may need to purchase a new one if the included bracket doesn’t fit your kitchen. The oven is manufactured in five colors, but one of them is bisque – a color that’s not easy to find and a real find if it fits into your decor. We wish that there were a few extra convenience functions, like a delay timer to set the oven to start at a later time, but that’s nitpicking. For well under half the cost of a full-featured microwave/convection oven with all the bells and whistles, the GE JVM3160DFCC is a meat-and-potatoes microwave that will do a solid job for a long, long time. Sharp R1874T Over-the-Range Convection Microwave. Click on the photo to see the Price on Amazon. This Sharp model isn’t quite up to the level of the GE microwave we’ve just reviewed, but it has another feature that makes up for the difference in size and power: convection cooking. Many people have discovered the benefits of a convection oven, and this combined convection/microwave unit lets you cook with the even temperatures, shorter cooking times and energy efficiency of a convection model, without requiring extra space in the kitchen. We mentioned size and power, so let’s go there first. 850 watts is a bit low for a microwave’s highest power level, but it’s fairly easy to compensate by cooking food a little longer. And while 1.1 cubic feet is definitely a small capacity, the R1874T is still large enough to contain a 13-inch ceramic turntable, accommodate a 13×9 pan, and nuke most of the foods you’d commonly put into a microwave. The upside? This unit requires less space over the range. That’s why you’ll see this oven as standard equipment in so many RVs. Most importantly, this Sharp is quite versatile and cooks very well. There are 11 microwave power settings, 10 microwave pre-sets and 12 convection CompuCook programs which make use of a sensor system for broiling, baking and roasting. All are controlled via a robust interactive display panel. One other great feature that the review team loved was the “custom help” key, which lets you figure out this microwave/convection oven quickly and conveniently. There is a built-in exhaust system which lets you vent horizontally, vertically or duct-free, and a two-speed fan. LG LMV2031ST Over-The-Range Microwave Oven. Click on the photo to see the Price on Amazon. Don’t need a fancy convection/microwave combination to go over your stove? This LG model is just what you need. It’s a large (2.0 cubic feet, 14-inch turntable) model that has a powerful three-speed exhaust fan, and does a great job of microwaving at an easier-to-take price. This is another 1000-watt microwave that utilizes a sensor system to cook, defrost, heat and melt to exact power levels. Surprisingly, however, it still only has five presets (popcorn, kids’ meal, soften/melt, reheat and defrost); we would have expected more on a higher-end dedicated microwave oven. Even so, the eight sensor cook functions, along with custom cook and normal cook selections (with ten power levels) are everything you need for proper preparation of whatever you’d normally put into a microwave. 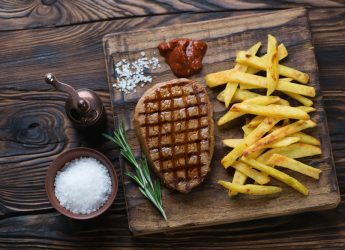 Food comes out delicious – often more delicious than you’d get from most competitors. Like the GE Profile, this unit has a two-level rack to increase the usable cooking space inside. The exhaust fan is among the strongest and quietest we’ve seen, the interior is designed to be cleaned in a flash, and it’s a good looking appliance. A bracket comes with the oven, but we do have to mention that not only is this a tough appliance to install yourself, the manual recommends you call an installer. We do, too. The LMV2031ST is a terrific microwave-only oven to go over your range. Whirlpool WMH31017AS Microwave. Click on the photo to see the Price on Amazon. 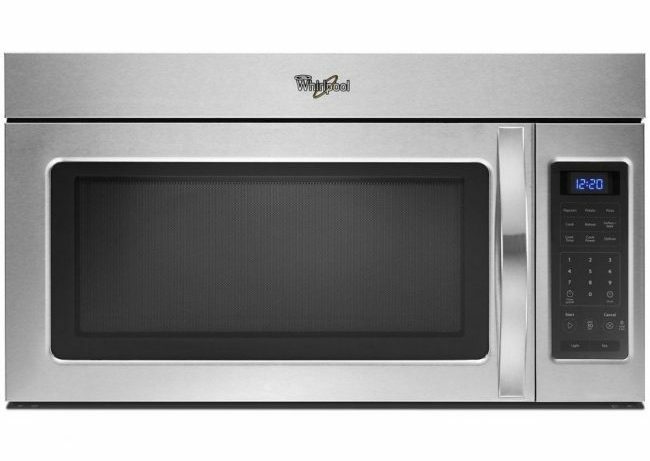 We move a notch down in both price and performance with this Whirlpool microwave-only model, which might fit your budget better than the LG unit just above it on our best over the range microwave oven top 5 list. The WMH31017AS isn’t eye-popping or loaded with bells and whistles, but it’s functional and worth its price. There are 1000 watts of power to cook inside the 1.7 cubic foot oven, with ten power levels and three presets (pizza, potato, popcorn) along with defrosting, reheat and soften/melt buttons. The other controls and digital time display are what you’ve probably had on most of your microwaves: there’s nothing fancy but they work fine. As for food quality, it’s not the best we’ve ever seen from a microwave oven, but it’s good. The two-speed hood fan is less powerful than the ovens we’ve looked at so far and noisier than it should be. It does the job, though, unless you plan on burning lots of stuff. Those who are handy shouldn’t have much problem with installation, as long as they have a few hours to spare. The stainless steel exterior is relatively attractive, although a personal objection we had was the size and prominence of the Whirlpool logo at the top which we thought detracted from the overall look. Not bad at all, for the price. Frigidaire FFMV164LS Over-The-Range Microwave. Click on the photo to see the Price on Amazon. If we’ve hit your sweet spot as far as price but you’d prefer more features rather than a larger oven, this Frigidaire model is one to look at. 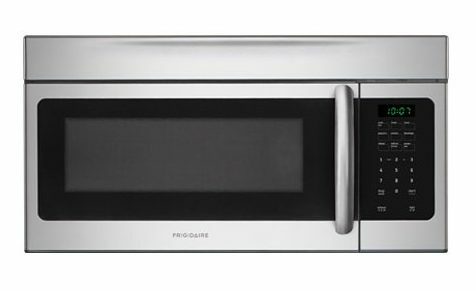 The Frigidaire is a 1000 watt oven with 10 power levels, the usual preset buttons, auto-reheat and defrost functions, quick time settings, and our favorite feature: the full programmability you usually don’t find on an installed microwave in this price range. 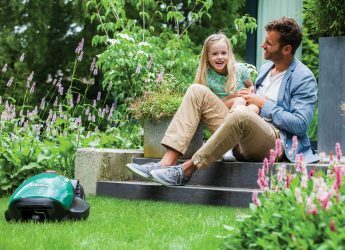 The auto-start hood fan is more powerful than the one on the Whirlpool (even though it only has two speeds) and installation is easier than with most over-the-range units. Our only real objections are that the “food is done” beep is incredibly loud and annoying, and the oven doesn’t seem as if it will last more than a few years. This isn’t a gorgeous microwave but it’s easy to use, it’s programmable – and the food comes out very good. 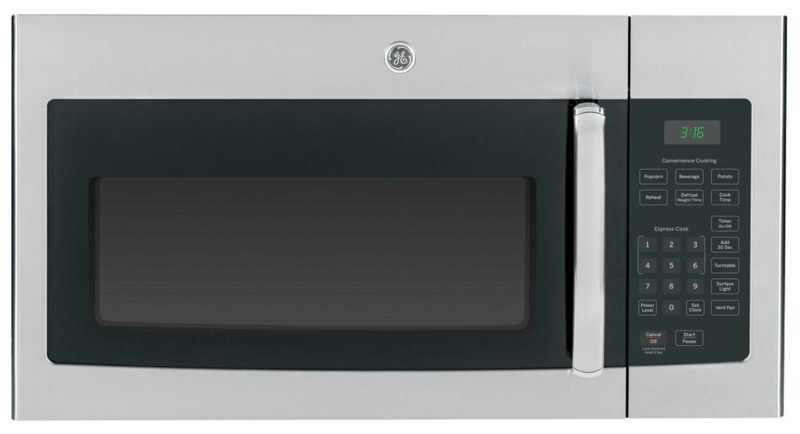 GE PVM9179SFSS Profile – Over-The-Range Microwave. Click on the photo to see the Price on Amazon. This is an older model that used to be on our top 5 list. 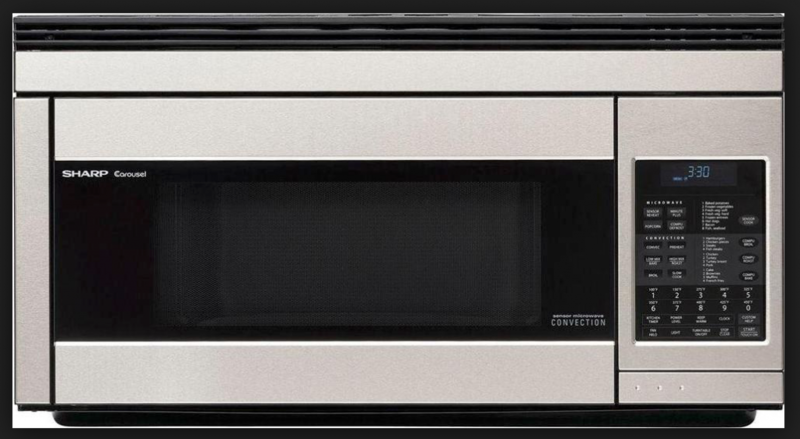 The PVM9179SFSS is a terrific microwave/convection oven combination. Once again, this GE oven isn’t enormous as it needs to fit above the standard space over a 30-inch stove. The Profile’s 1.7 cubic foot interior fits most large dishes or casseroles, there are two racks to make the space more useful, and the turntable can be shut off so very large dishes won’t keep smacking into the sides of the oven. 1000 watts is what you would expect from most of these microwaves, but the effectiveness of this oven’s sensor system and the fact that it also features convection cooking elevate it over many competitors. The microwave has ten selectable power levels and performs well, just about as well as any countertop model G+S have reviewed. There isn’t the huge selection of presets you may be used to (there are a few for popcorn, beverage, defrost, reheat and a 30-second “microwave express”), but that’s because most of the control buttons are used for convection cooking features – so let’s get to that half of this versatile appliance. The convection oven in this attractive combo microwave lets you bake, roast, brown and grill foods almost perfectly. It’s not quite as good as a dedicated convection oven, but it comes pretty close, it’s fast, and it adds great versatility to the “just a microwave” that so many people have over their range since you can combine microwave and convection functions without shuffling food between ovens. The humidity-sensor function we briefly mentioned earlier is terrific; it automatically adds or subtracts cooking time, virtually assuring that everything is prepared properly without being overdone. The built-in vent hood on this Profile microwave is very good, with an auto-start feature as well as three manually-selectable speeds plus a dual-brightness light. Installation isn’t difficult, but this model doesn’t necessarily fit older GE trim kits so you may need to purchase a new one if the included bracket doesn’t fit your kitchen. The oven is available in white, black, slate and stainless steel so there’s a model which will fit nearly any décor. There are two aspects of the PVM9179SFSS Groom+Style were not so crazy about; one is the fact that you have to set cooking time or other functions by rotating a dial that moves in increments of 15 seconds, the other is that there’s no delay timer to set the oven to start at a later time. If you can ignore these minor issues this GE microwave offers superb overall value for the quality and functionality it offers. 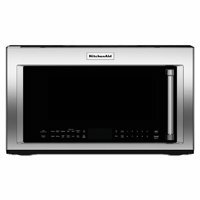 KitchenAid KMHC319ESS Over-The-Range Microwave. Click on the photo to see the Price on Amazon. We’re guessing that as soon as you saw the name of this product you said to yourself: “I bet that one’s expensive.” You were right. The KMHC319ESS will cost you a pretty penny, but it’s literally the best of the units on the market available for under one thousand dollars (check the latest price on Amazon as the price can vary). Groom+Style simply didn’t rank it #1 on our best over the range microwave top 5 list because it’s so expensive. For those with a larger-than-normal budget, though, it’s our pick. 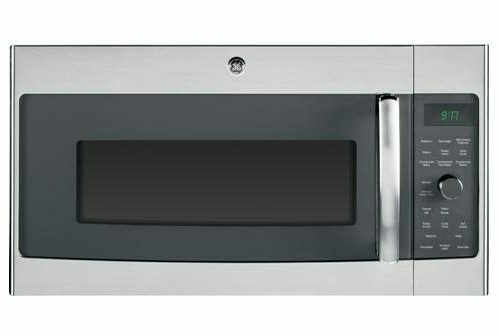 Like the GE, this is a 1000 watt combination microwave/convection oven with sensor cooking, but it has a larger capacity at 1.9 cubic feet (with a big 14-inch turntable) – and it doesn’t just look good, it looks fabulous. This is a sleek stainless steel appliance which will be right at home in a modern gourmet kitchen, complete with chrome-faced glass, satin cross-hatched handles and an understated but large control panel with a digital display at the bottom of the oven. The KitchenAid does everything the Profile can do, and more. In addition to traditional time/temperature control, six microwave presets and three convection settings there’s also a steam setting that also works by a sensor, so it can steam foods to perfection. The Groom+Style review team has to be honest, we love this feature. Microwave quality is great, cooking quality is close to what we’d expect from a dedicated convection oven with a perfectly-function sensor system, and oh, did we mention we love the steamer? There are two hood fan speeds, along with auto-start when cooking begins and a timer function for both the fan and the attached halogen lights. Installation can be difficult if you’ve had a different model previously installed above your range; in that case, you might want to call in a pro. That’s the only downside we can find with the KMHC319ESS though, other than the high price. If you can afford it, Groom+Style highly recommends it. Officially none of GE’s over the range microwaves are approved for flush installation, and they suggest you follow the installation instructions as described. The key reason seems to be to provide access to the charcoal filters (which is needed when the microwave is front vented or recirculated) which, in most models, is through the “front” of the microwave -> see video below. We cannot officially provide advice that differs from this. However, if you are to think about it logically, if the microwave is vented out the back, then the front charcoal filter is not needed. It even mentions this in the instructions linked below, on page 2… “Filter Kit JX81H– Recirculating Charcoal Filter Kit To be used when the microwave oven cannot be vented to the outside.” So the opposite logic fits that if you vent outside you don’t need the charcoal filter and therefore will never need to replace it. I would like to get a GE OTR microwave that I will vent to the outside. The cabinet to which it will mount under is 15” deep. GE installation instructions say that it should not be mounted to a cabinet more than 13” deep due to top venting grilles. (And a bump out mounting kit should be used if cabinet depth exceeds 13”). However I would like the microwave box to mount flush with 15” cabinet which means those top venting grilles will be covered by the cabinet above. Is it ok to cover the top vents since I will be venting to the outside or do those vents need to be exposed for another purpose? The answer is yes, these microwaves such as our top choice the GE Profile range, are configured to vent out the rear (horizontally or vertically). Although they can also be updated with a bump out kit to vent out the front (depending upon your cabinet depth requirements). You can also read this guide we put together. 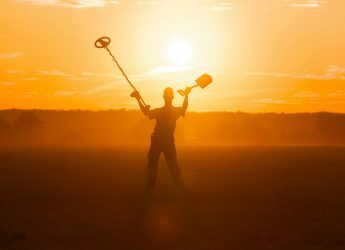 Please let us know if you had a question about a specific model etc. May be a dumb question- but can these microwave ovens be set to vent to outside instead of just blowing back in to kitchen? Thanks for the question, do any of the models below work for you – they all vent out the front horizontally. I would say that if some of the vertical venting models from the links I provided fit your requirements then they will perform in a similar way to your previous GE JVM1540N1CS i.e. they will project the air outwards from the cupboards. This will drastically slow down the rate of discoloration, and if there is no possibility to vent your microwave through the back or top of the cupboard, then this is your best option. I have the same concern as Stephen Rice note dated Jan.4, 2018 (i.e. exhaust blows upward onto the cabinet doors). Do you know of any over-the-range model that discharges the exhaust horizontally rather the upward? No, it is not safe to put steel bowls or plates in a microwave. You can read more via the quora link below. I wonder if I can use stainless steel plate inside microwave. ???? Yes, it is important to be aware of this. As with any exhaust hood (extractor hood or range hood) design, the vent should lead outside, otherwise, you are just moving air into a dead space. You might find a model in our countertop microwave oven article linked below. DO NOT BE FOOLED! Look at the design of these under the counter microwave/fans. Unless you vent them to the outside you will be pushing the air into the cabinet doors as my Whirlpool does! Their response. Too bad so sad. We can not fix it as it is a design flaw . So if I use the vent fan it blows stuff on my new cabinets. NOT!! Time to find decent microwave that still vents to the front in my case. So, they look pretty but look past that to do they really function for you.